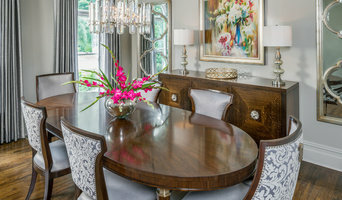 Robin Garceau is a prominent interior designer and real estate associate, specializing in comprehensive interior design services and real estate needs for luxury homes. She is uniquely skilled at supporting her clients from initial build or project beginning. From an interior design perspective, Robin’s style is elegant yet approachable. She invokes her passion for luxury and sustainability as collaborative elements to convey personality and lifestyle. Her work with an expansive list of clients throughout coastal New England is testament to her skill, elevating unique locations and surroundings with an interior and a décor that enhances a space with beauty and function. Robin routinely works with developers, builders, and contractors, reviewing architectural plans and specifications to ensure the next steps of construction are aligned with a client’s vision for the flow and overall design of a space. Robin seamlessly parlays her technical proficiency into the creative. Her real estate background adds significant value to clients as she is in tune with the wide-ranging and complex facets of buying and selling a home. She understands when construction and home design can over-value a home, which is of immense importance in today’s market. Collaboration and communication are vital to a successful project. Robin masters these skills in her multi-disciplined role as a designer, realtor, consultant, and partner to clients throughout New England and beyond. With offices located for 15 years at The Audrain Building on Bellevue Avenue in Newport, RI, presently we enjoy the conveniences resulting from working in a home-based studio + office. As always, all projects are still personally designed and drafted by Steven Laurin, the firms sole owner. Over 200 buildings ranging from small additions + renovations, to large custom estates, have been designed and successfully completed by Steven Laurin during his extensive career. Each project varies in expression to reflect responses to the client’s particular needs, budget constraints, schedule, site and environmental conditions. Associate consulting engineers, if required by the particular needs of the client’s program, are managed with a focus on maintaining a consistency in design methodology. Our service to the client is both very practical and interactive, obtaining a balance of cost flexibility, high design integrity and the need for a building’s longevity in the environment. Hull Cove Design, located on Aquidneck Island, offers all- inclusive design focusing on historic renovations, additions and new residential construction. As a division of Kirby Perkins Construction, Hull Cove Design further demonstrates the values of high quality and attention to detail that Kirby Perkins is known for all across New England. Hull Cove Design specializes design- build delivery method for their projects, and this offers a unique chance for clients to have a close relationship to designers, project managers and craftsmen from initial schematic design to full completion of construction. With projects ranging from a small addition to a complete new construction, Hull Cove Design is known for delivering a final product that meets or exceeds the client’s specifications in a more direct path than the typical Architect- Contractor method. Hull Cove Design prides itself in personalized service and dedication to design excellence in both commercial and residential projects. Award-winning designs for new homes, whole house renovations, additions and interiors. We instill the feeling that while fresh, beautiful and new, antique or modern, "this feels like it has been here forever". We pride ourselves in collaborating with builders, designers and other trade partners. 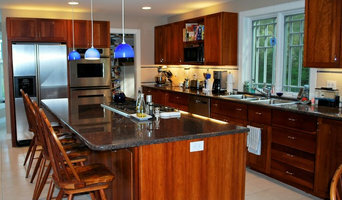 Mark Lawton is a licensed architect with over 20 years of experience in residential architecture. In addition to custom residential projects, he is a co-founder of Ikaria Living, a development company focused on creating wellness through design. He draws upon his past experiences living in California, the Southwest, and Europe to create modern innovative designs ranging from sustainable desert dwellings to waterfront vacation homes. He is well versed in all areas of architectural and interior design, with an ongoing passion for combining leading edge technologies with timeless qualities learned from ancient cultures. Previous work experiences include Skidmore Owings & Merrill, Antoine Predock Architect, and Construct Internet Design as creative director. Mark has received widespread recognition for his work including features in several national and international publications. He graduated with distinction from the architecture program at Cornell University and was awarded the prestigious Eidlitz Traveling Fellowship to study the culture of Greece. Mark Lawton has been featured in HGTV Garden, the DIY Network, the Boston Globe, New England Home Magazine, Design Rhode Island, SOCO magazine, and Best of Houzz 2015, 2016, 2017. Williams Design Associates (WDA) is a residential Architectural and Interior Design firm. Our expressionist aesthetic integrates classic traditional and modern contemporary design elements with " Green" technology creating sustainable healthy living and working environments. DiMauro Architects, Inc. is a national award winning Architecture firm located in Southern Rhode Island specializing in Shingle Style Country Estate Design, Interior Design, and Historic Preservation with a strong sensitivity to the environment. How do I find the best Newport East architect for my home design project? It is best to hire a home architect who will be involved in all phases of the design process, from the initial concept to the completed construction. The architect is often the first person you will hire for your project. If necessary, they might also help you select and hire Rhode Island subcontractors, which can include the builders, engineers and landscaper. Interior architects are also involved in negotiating contracts for all involved participants. It is for these reasons that it is extremely important for you to have a good relationship with the Newport East residential architect you hire. He or she can be the tie-breaking vote between you and the general contractor and can be your biggest advocate during the construction process. Different architecture firms in Newport East, RI provide different services, so the scope of the work can span from pre-design environmental impact studies to selecting furniture and finishes, depending on what your specific needs are. It is very important to hire the right professional for the job. Remember that the most well-known or established designer might not provide the best architectural services for your needs. It all comes down to the individual project. Research and ask people whose work you like for recommendations. It's important to have somewhat of an idea of the style of house architecture that you prefer, as well as the amount you would like to spend. Residential architects in Newport East, RI are natural problem solvers. They will assess the entire situation and help you to solve your problems too. Don't settle for a single company too early. Call and interview a few. Make sure that you feel like your personalities will mesh well and that you like their professional perspective. 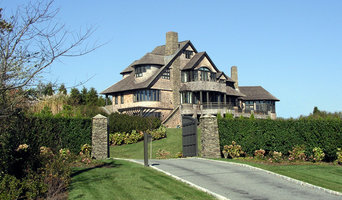 Find a home architect in Newport East, RI on Houzz. Narrow your search in the Professionals section of the website to Newport East architects. You may also look through photos of Rhode Island projects to find interior architects and building designers who have worked on a project similar to yours.